Troos Skincare + Apothecary Fine Botanical Facial Oil (Retails for $46) - A facial oil with high quality ingredients such as french lavender, jojoba, and rosehip oils to give skin the nourishment it needs. 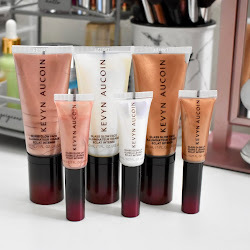 This is definitely a luxury product that I am really excited to try out. 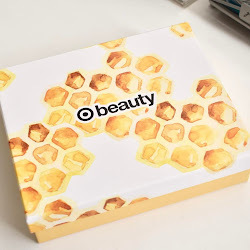 With my skin being more dry as the weather gets colder, this is the product I will be using the most from this box. Seraphine Botanicals Dandelion + Skin Tinted Primer (Retails for $25) - This is a face primer that is silicone free and provides a lightweight and sheer coverage. It is tinted so you can wear it alone or with a foundation on top. It also has skin care properties because of the plant oil and botanical extracts. Seraphine Botanicals Rose Butter (Retails for $24) - A two-in-one cream product that you can use either on the cheeks or on the lips. It is formulated with raw shea butter and gives a nice subtle tint to any look. 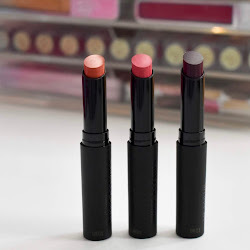 I prefer these types of products for use only on the cheeks but I do like how this gives a rosy pigmented look to the lips. 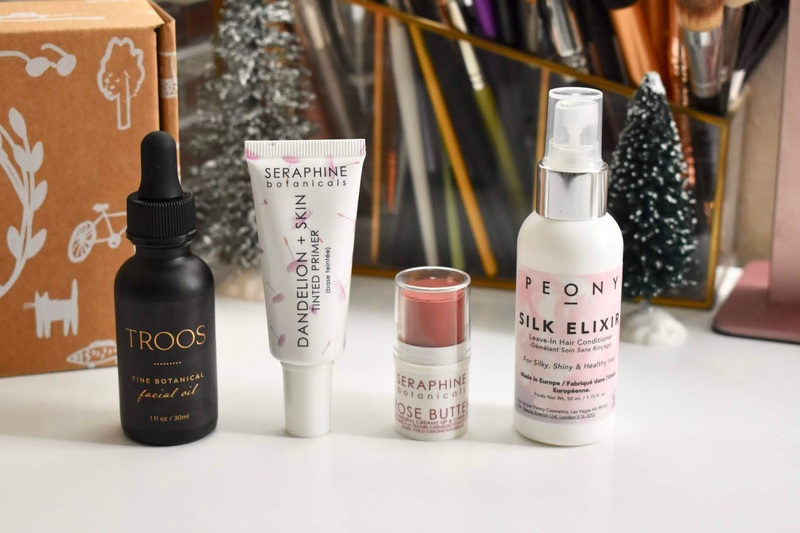 Peony Cosmetics Silk Elixir (Retails for $19.95) - A hair product that I tried and loved right away (and I mean as soon as I opened the box). It is a leave-in hair conditioner that is made to leave hair feeling soft and looking shiny. It is infused with coconut, jojoba argan and sunflower oils. You only need to use a few sprays and it has an amazing scent. 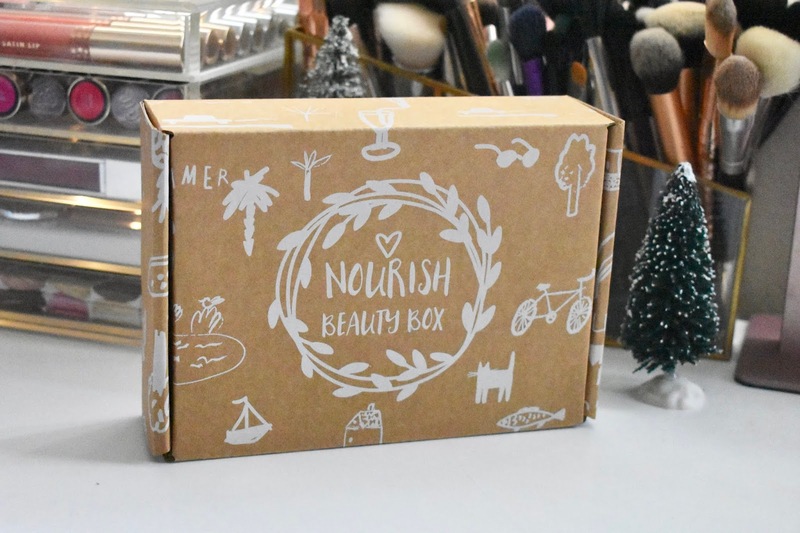 This Nourish Beauty Box was a $124.95 value and you can get it for $29.95 per month. 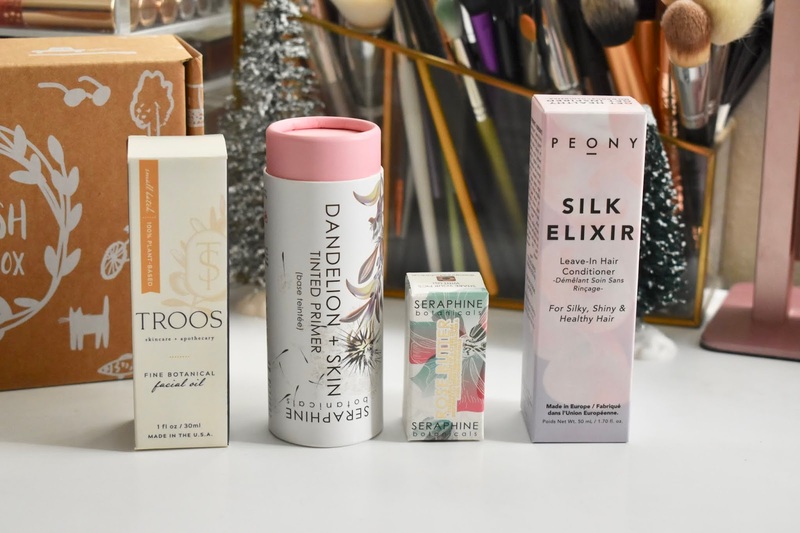 This is a great subscription box if you are looking for products that are more natural, cruelty-free, vegan, and paraben-free.